Brief Overview: Learn the traditional hands on approach to this ancient art and discover why its sacred. No mathematical skills are required just a willingness to explore, make models and play. This course covers general geometric constructions, the Platonic solids, the Flower of Life, Metatron's Cube, the Tree of Knowledge and much, much more. Sacred Geometry is the Spiritual science that unlocks the secret language behind creation. Learn the traditional, hands-on approach to this Ancient Art and Sacred Science. Discover why the Great Thinkers of history pursued it. No mathematical skills are required - just a willingness to explore, make models and play. 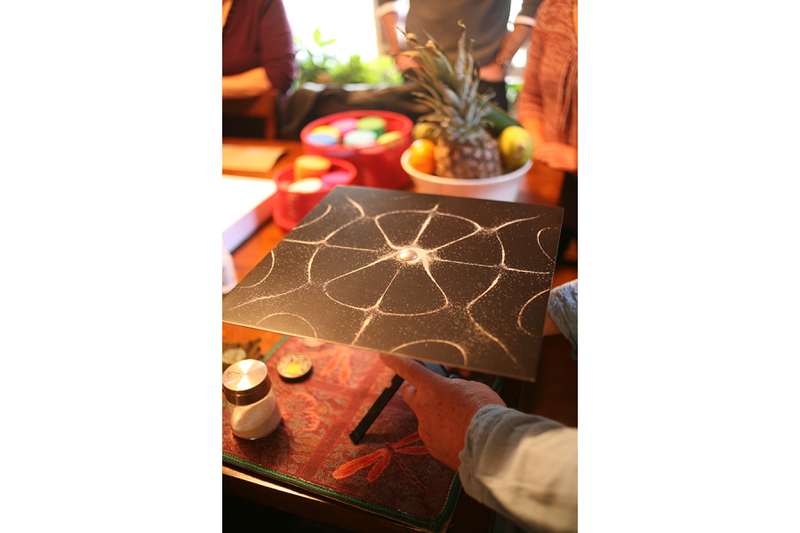 In this course, Oz will share with you the principles of Sacred Geometry and how they connect to the Platonic Solids, the secrets of number, the architecture of both ancient temples and the human body and the very fabric of Creation itself. Its applications and correspondences are endless, including music, chakras, ley lines, alchemy and astronomy. Discover the Golden Mean, the Flower of Life, Metatron’s Cube, the Tree of Knowledge (also called the Tree of Life) and beyond. Expand further into these principals and applications of Sacred Geometry including learning and working with the Golden Mean, geometry in nature, ancient techniques in modern day, patterns of creation, form and function, shape and sound, and much more. Sacred Geometry is vast and penetrates into all aspects of life. Tribal Thunder makes the first steps of engaging in its foundation easy and fun. This will give you the foundation to continue your research at home, at work or in school. Come and discover, enjoy the beauty of creation and be profoundly inspired by the world around you by knowing its fingerprint: Sacred Geometry.